A few years ago I launchd Foodie Underground, partly because I wanted a space to put down all of my thoughts on food, and partly as an attempt to bring something new to the world of online food media. Now it’s time for yet another project: a print publication! The idea for Comestible has been percolating for a long time. I value the written word, and I think that there is something that we get from holding a publication in our hand as opposed to reading on a screen. That being said, I waited for a long time to take action on launching Comestible. Did the world really need yet another print publication? Well, no. Let’s be honest: we are inundated with food media. But in this world of food blogs, magazines, and television shows, I don’t think any of it has really made us eat better, or have a better relationship with food. We are far more concerned with a beautiful food photo than of the paycheck of the person who grew our food. And that’s where I hope Comestible can come in. 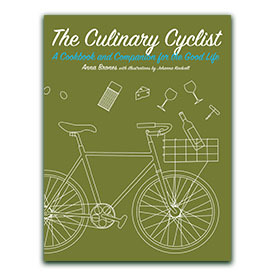 Part food narrative, part food guide, part cookbook, this is a journal devoted to real food – you can think of it like Foodie Underground in print. It will be themed by season, based on the belief that we should all live a little more in balance with the natural world, not just because it’s what makes sense, but because it’s what’s good for us. 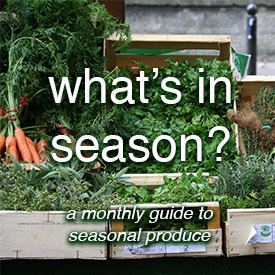 There will be guides to what’s in season (think of it like a simplified Farmer’s Almanac) and how to put that food to use; the kind of guidebook you wish was available next to the farmers market stand when you’re wondering what to do with all those vegetables. 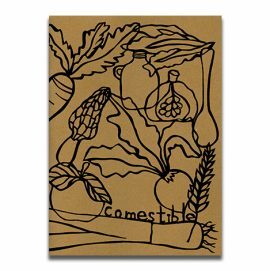 Ultimately, Comestible is a celebration of real food, accessible to real people. Simple, informative and fun, Comestible should inspire you to do more with your food. To cook something, the plant tomatoes, to build a beehive. Comestible is about celebrating the one thing that sustains us and brings us together, no matter who we are or where we are in the world. I came across this Wendell Berry quote the other day that has stuck with me: “If we can’t afford to take good care of the land that feeds us, we’re in an insurmountable mess.” Launching a print publication might not be a direct solution to the many problems of our food system, and the current mess we are in, but I hope that it can be inspiration in attempting to find and work towards some of those solutions. Comestible is founded with the belief that food is about more than just glorifying what we eat. It’s about honoring the people and the land that help get the food to our table, and about being more in tune with what the seasons have to offer. The first issue has seasonal recipes (yes, you will find some with foraged ingredients too), stories, and even an essay from a farmer. 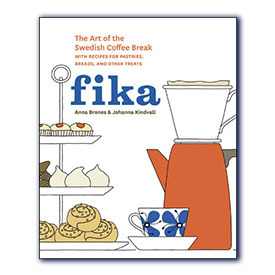 There are no food photos – the layout is very simple, based on the belief that it is the text and the words that are meant to inspire and educate – but there are illustrations by my wonderful friend Jessie Kanelos Weiner, and even a few papercuts by me. I want Comestible to be different from what is already out there, and I hope that you get as excited about it as I am. 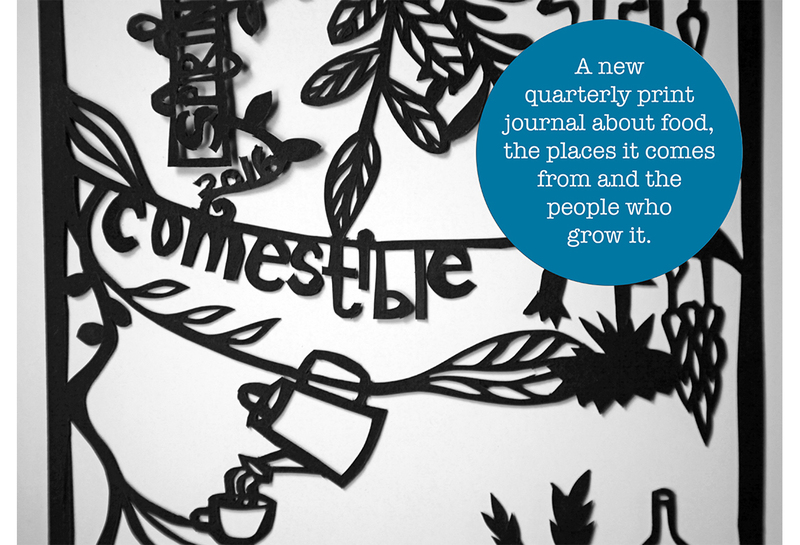 You can support the first issue of Comestible on Kickstarter through March 18, 2016.